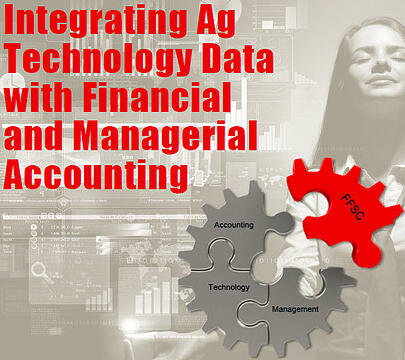 Last month we addressed the "Holy Grail" of farm management: the integration of production and financial data. This month we'll consider another valuable "technical tool of the trade." Simultaneous cash and accrual records. Accrual accounts payable and receivable entries can be converted into cash transactions by moving them to the period in which they are paid or received. Activity-based costing. Equipment and labor activity costs can be allocated to their cost objects (crop projects and groups of animals) based on "cost drivers" associated with those activities. Work in process (WIP) and inventory adjustments. Cash and allocated activity-based costs can be rolled in and out of inventories as they are produced and sold. Flow-through stage costs. Costs can automatically be "pushed" between production stages (field production to crop marketing and breeding herd to nursery to finishing stages). Next month we'll drill deeper into the "virtuous cycle" of automated activity-base costing.